As a new business owner, there are many questions you'll need to tackle. While you build out your infrastructure and revenue model, develop your products and services and figure out how to manage daily operations, you'll also need to address how you'll market your company and reach new customers. Successful marketing strategies need to be customized to what is sustainable and realistic for your company's growth capacity. What Goes Into a Marketing Strategy? Product: What goods are selling and what services are you offering? Your strategy should include the brand name, quality, packaging and unique selling proposition. Promotion: How will you market your product and what is the budget? Think about advertising, press and publicity, what you need in terms of a sales force, promotional offers. Price: How will you price products to attract customers? Place: How will you distribute products to satisfy customer orders? Think about inventory management, order processing, transportation and warehousing. How Can a Frozen Yogurt Business Make More Money? If you're like many business owners, you're swamped and have many tasks vying for your attention. Creating a marketing strategy will allow you to take a step back for a moment. It will help you analyze and understand your message and how to effectively reach a larger pool of prospective customers. It will give you a plan and a clearer focus. But keep in mind, no matter what marketing strategy you use, if you don't have an effective sales funnel or pipeline and optimize your conversions, you'll be leaving money on the table. An all-encompassing marketing strategy will keep you relevant in all the mediums your customers engage. Developing an online and offline marketing strategy will help integrate your business. If you have a brick and mortar store, consider selling products online. If you have found success online, consider moving to a specific geographic physical location. A marketing strategy gives you more control and allows you to diversify your sales channels. Building a brand is a crucial part of marketing. This is how you help your customers understand why your product is better than a competitor's product, and why they should shop with you not someone else. Creating a marketing strategy will help you discover what makes you different so you can map out a clear strategy to communicate those benefits. 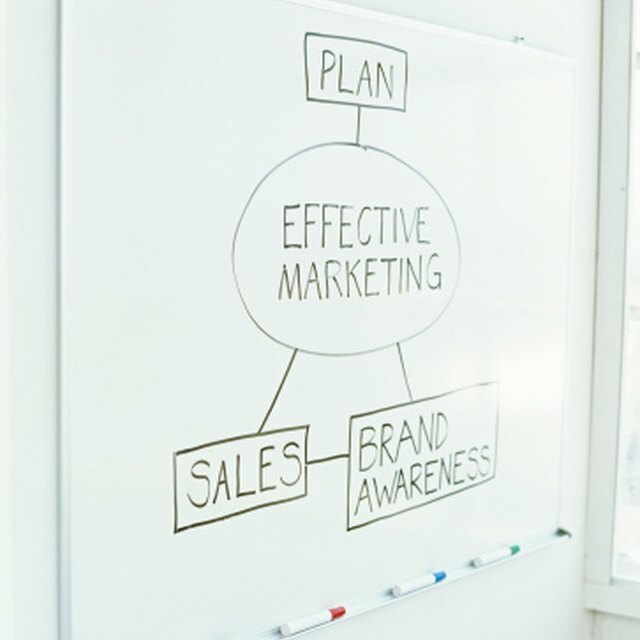 While taking the time to develop a marketing strategy can be key to propel a company's growth over a period of time, there are disadvantages of implementing a marketing strategy. For one, it can be challenging to generate momentum. Though you may have an innovative idea and a capable team to execute, there's no guarantee of success. Executing successful marketing strategies often takes time, money and resources and for a small company especially, that can be frustrating. In addition, creating a marketing strategic plan can also identify your weaknesses as a company and as a business owner. This can be challenging and could derail the company's vision. It can also lead to faulty marketing decisions if data isn't analyzed properly, and creates unrealistic financial projections if the information isn't interpreted correctly. Whether you choose to develop a marketing strategy or not, go into the decision with your eyes open. While creating a marketing strategy for your company can provide you with a variety of critical and insightful information, it's only helpful if your analysis is done properly and thoroughly. When you're just starting out, watching your company grow organically and making decisions based on what you learn can be just as beneficial. The choice is yours. Liz Gold has been published in a variety of capacities writing about everything from Kennebunkport and southern Maine municipal government, art and cultural events, to cloud technology and business transformation. Her experience extends to both corporate and freelance; she's a former Senior Editor at the B2B publication Accounting Today, writing about public accounting firms with a specialization in diversity, technology, best practices, and business development. During her tenure, she was also co-founder and editor of AccountingTomorrow, a blog focused on intergenerational workplace issues that is still thriving today. Most recently, Liz has been writing about accountants working in the cannabis industry on CPA Trendlines and reporting on cannabis trends for Southern Oregon Good Herb magazine in Oregon.